Who would expect to create paintings from wilted flowers, petals or leaves? But wait till you scroll down Subhashini Chandramani's Instagram account called Neelavanam. Subhashini, who moved to Bengaluru from her hometown of Chennai 25 years ago, has been creating nature-inspired art under the name Neelavanam (which translates to blue skies) on Instagram and Twitter. 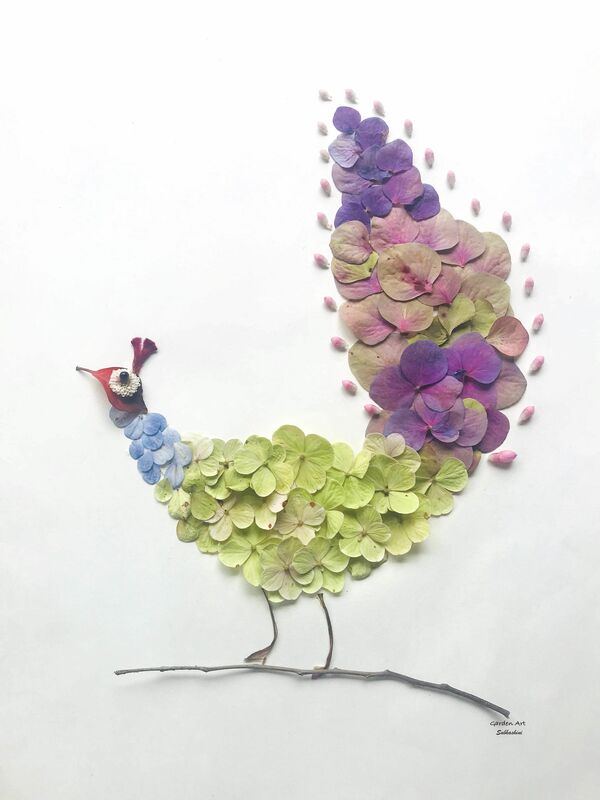 Dried and wilted flowers, petals, leaves and, at times, even eye-catching vegetables and household items make appearances in this artist's work. 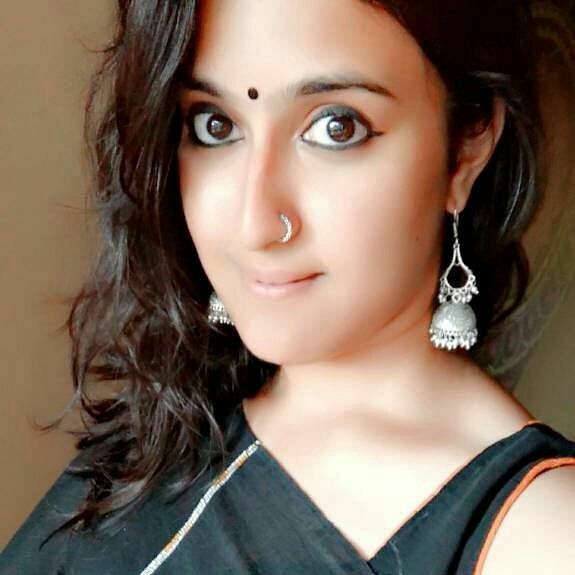 It all started back in January 2015 when Subhashini was sketching the portrait of a woman in her home when she came up with an idea to embellish the image by adding a unique nose ring. Wanting to depict the ornament in an unconventional manner, she took a stroll down her home garden and spotted a wilted bougainvillea flower. And that's when it struck her that the petal could be used to depict a delicate nose ring in her painting. After placing it, the wilted flower looked fabulous, unique and exactly what she wanted to create. "From there on I kept juxtaposing objects alongside already drawn imagery to create an effect. My imagination went wild and I saw a lot of things could be done with flowers," says Subhashini. 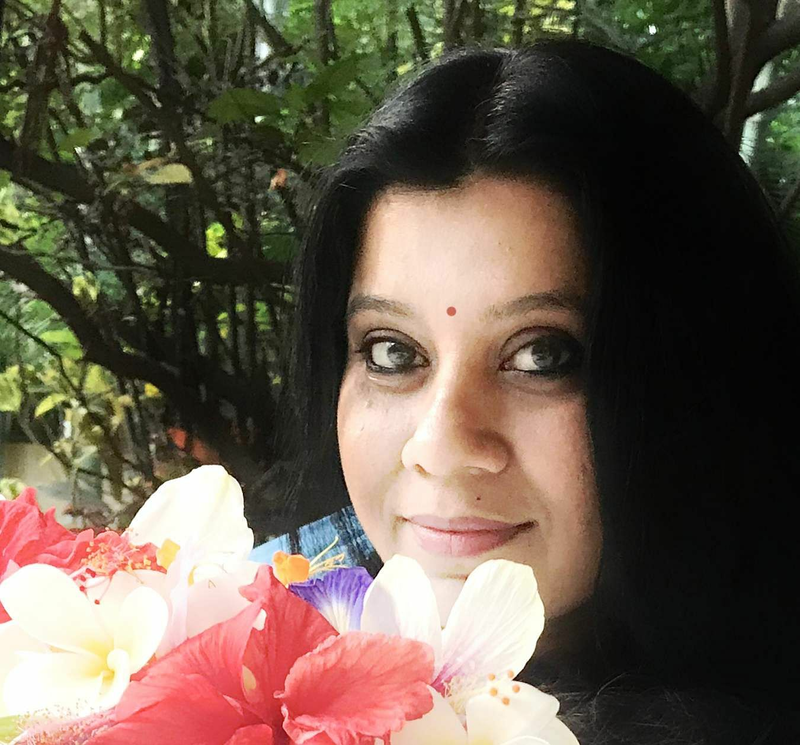 Incidentally, Subhashini is very particular that she doesn't pluck fresh flowers, leaves or petals, opting instead for vegetables at home, dried flowers and odd looking things that she finds interesting. "I had once made a sketch with waffle dough," she says laughing. Her love for sketching, gardening, and poetry gave rise to her interest in garden art, she says. "It is only when I started growing a garden at home that it all came to me one day. Using dried flowers gives my sketches a 3D effect. I also have to take the photos of my sketches in proper natural light to make it look even more unique. I also got a small digital camera when I started using wilted leaves, petals in my sketches and realised that what I see and what the camera saw were completely different," she explains. The most striking of her sketches and paintings are generally products of frequent strolls through numerous gardens and her box of collectibles. Most of her artwork emerges naturally without prior planning, she says. Subhashini's artwork is available for sale in the form of framed photographs and mugs on her website neelavanam.in. Her artwork can last 40 to 50 years. Subhashini's first garden art book will soon be up for grabs. 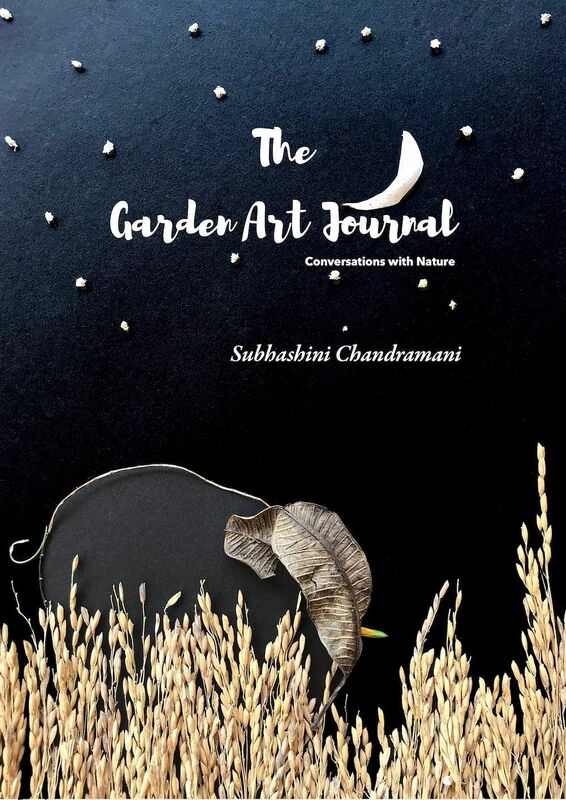 "It is called The Garden Art Journal as you can write on one side of the book and the other side is filled with garden art images," Subhashini concludes.